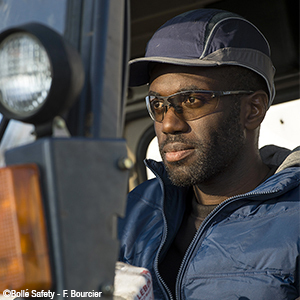 Bollé Safety is constantly innovating to guarantee optimum protection for your eyes with lens coatings which filter out the harmful rays and improve your visual comfort. 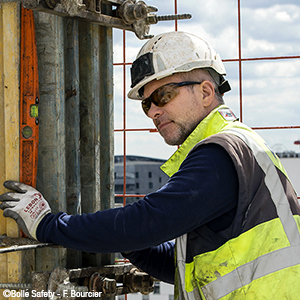 99% of Bollé Safety lenses absorb UV radiation. 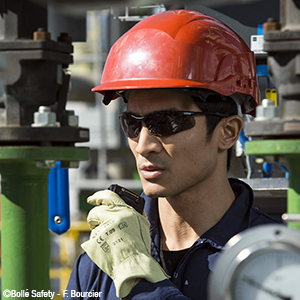 95% of our safety spectacles line is manufactured from polycarbonate. 98% of spectacles have anti-scratch and anti-fog coatings. Like ESP, this innovating coating is an effective solution for all activities that alternate exposure to bright light and low light, while also being suitable for extreme temperature environments. Ideal for cold and hot countries, from the Far East to Siberia! Recommended for outdoor work at dawn and at dusk, TWILIGHT is a real shield against blue light. Contrasts are accentuated for better visibility and the double inner/outer anti-fog coating is effective even in the most extreme conditions. -Improves contrast in low light. -Absorbs blue light effectively (76%). -Is compatible with the coating. -Offers perfect optical quality and 99.99% protection against UVA/UVB, solar radiation and impacts. Certified EN166 and EN172. POLARISED technology is ideal for use in an urban or seagoing environment, for driving, and more generally for all outdoor activities in which there is a high risk of glare. POLARIZED technology offers incomparable comfort by eliminating glare and reflections. -Eliminates glare due to light reflection. -Improves perception of contrast and depth. -Offers perfect optical quality and 99.99% protection against UVA/UVB, solar radiation and impacts. CertifiedEN166 and EN172. The European standard tests the scratch resistance on the outside surface of the lens (K marking) and the fog resistance on the inside surface of the lens (N marking). At Bollé Safety, we are convinced that scratches and fog do not only attack specific surfaces... This is why we decided to permanently apply the anti-scratch AND anti-fog coating to each lens surface (inside AND outside). This dipping process offers protection which is twice as efficient and considerably slows the appearance of fog and scratches.